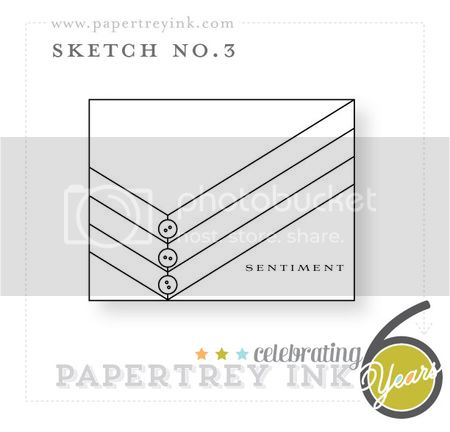 I am back with a couple of cards I created using the card sketches over on Nichole Heady's blog for Papertrey Ink. You can find the sketches HERE. I decided to try my hand at Sketch No. 2 and Sketch No. 3. For Sketch No. 2 I was immediately reminded of the free printable by Heather Nichols that I had not yet had an opportunity to use. I also happened to have a piece of vellum I had cut earlier in the day using the doubled-ended banner die from vellum and from there this card practically made itself! 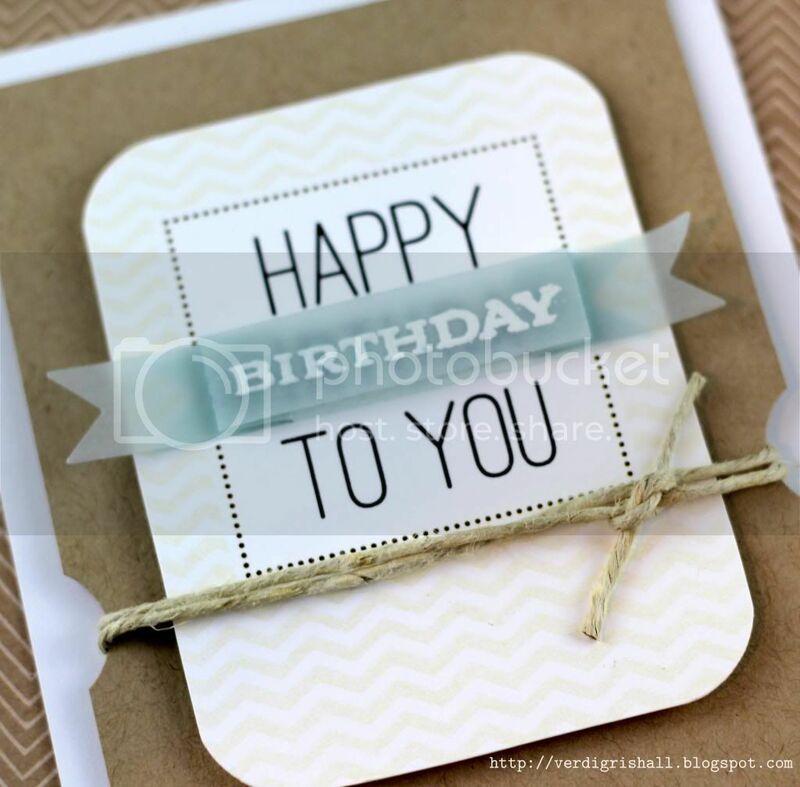 I embossed birthday from Botanical Silhouettes with white embossing powder and then I inked the vellum with spring rain and aqua mist inks to get it the light happy blue that mimicked the blue I was covering up on the printable. I folded the banner for more dimension and that made it easier to attach to the printable without seeing the adhesive. The printable is adhered using dimensional adhesive to a kraft panel that I notched with 3/4" circle punch on each side. I tied some hemp twine around the notches and adhered the kraft panel to a white card base with dimensional adhesive. For Sketch No. 3 I decided to use the XOXO border die to create the v pattern. I cut the XOXO four times from dark chocolate, pure poppy, raspberry fizz and hibiscus burst card stock. I love that one of the remnants from the die are several dots. I used one of each color dot on the bend of the v which I adhered with dimensional adhesive. I then added a little bling onto each dot. 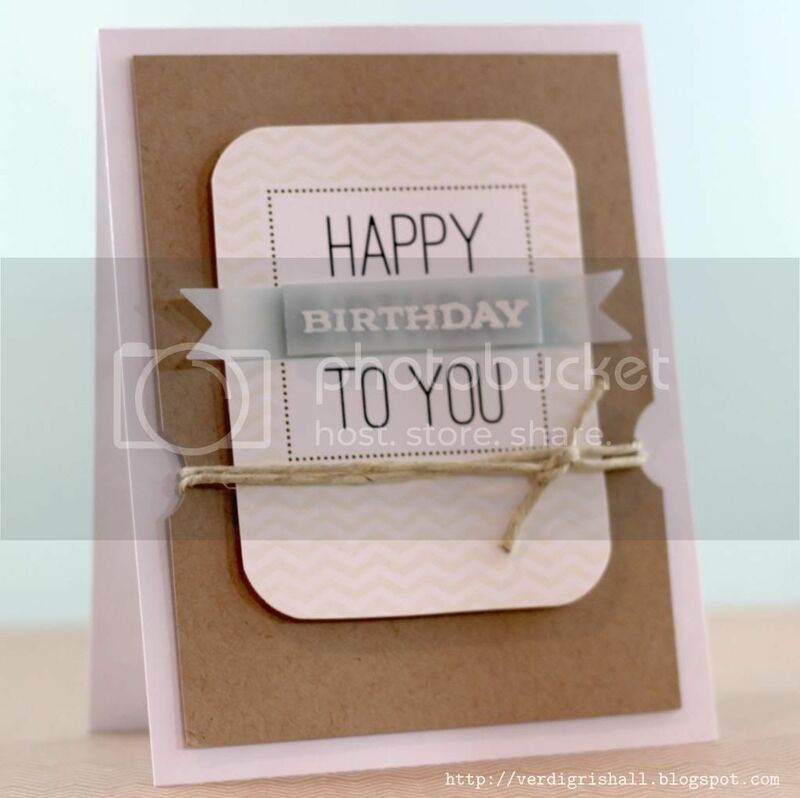 For the last touch to the card I stamped the sentiment in raspberry fizz ink from Heart Prints. And there you have it. I hope you had a delightful weekend and that your Monday is a brilliant beginning to your week. Super cute, love the first one and you did a fabulous job with the sketches! both cards are wonderful! excellent job with the sketches! 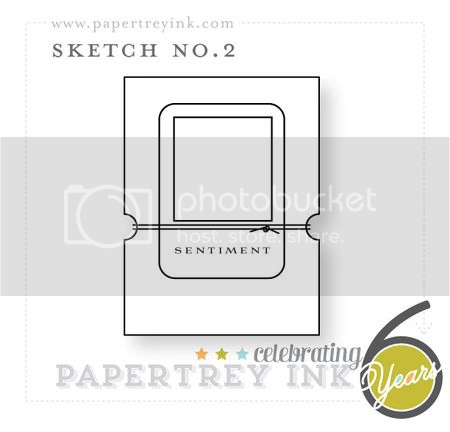 Oh, I love what you did with the sketches and that one free printable, Shay! They're both terrific!